Normal Text block - tap on the canvas where you want to start the text and begin typing. Newly created text block will now have a fixed width and will grow its height to match content. On canvas, press and drag to create. There are a number of text properties that can be changed. 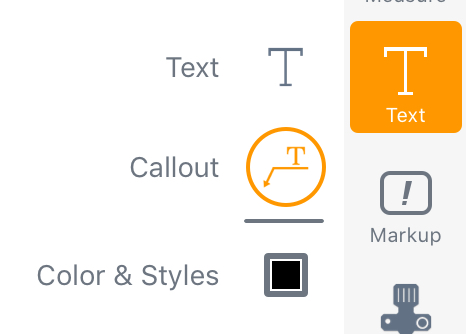 To change properties of an existing text, select it and then tap on the Color & Styles icon in the lower left corner of the screen.